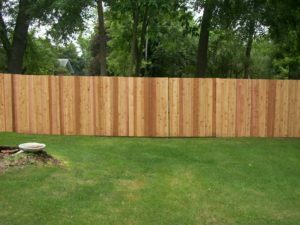 Wood fences, especially cedar, have been a popular, more traditional choice for home and business owners alike for years, from the white picket fences we’re used to seeing in old movies to the larger privacy wood fences our neighbors erect when they need a little more space to themselves. If you’re set on installing a wooden fencing system around your property, the most important consideration you’ll probably be making is the purpose you’d like your new fence to serve. 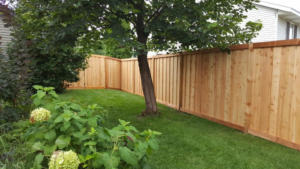 Whether you’re looking for security, privacy, definition of property lines, or even just a decorative addition to your property, Twin Cities Fence will help you choose the right wooden fence system for you. We install low wooden picket fences, towering and solid privacy fences, wood post and rail fences, and even steel post wooden fences for increased durability. Picket fences are perhaps the most typical and traditional of all wooden fences. Picket fences have the benefit of being large enough to keep pets and children on your property and define boundaries, but they’re small enough that they do not detract from the view of your home. With a wooden picket fence, you can easily create entryways into your yard to make your fencing system more convenient for you and your visitors, and you’ll find that the versatility of wooden picket fences makes them perfect for any more. A picket fence can take on any appearance you’d like, easily shaped into unique designs with decorative tops, patterns, and curves that can accent your home and the architectural styles of your neighborhood. With either a more typical colonial-style spaced picket fence or a spaced board fencing system, you’ll be able to protect your front and side yard with a fence that you can easily see over and that you can design to suit your home’s aesthetic. Privacy wood fences have become popular in areas where homeowners are too close together and need a renewed sense of privacy, or when you realize that everything you do in your back yard can be viewed easily by passersby. 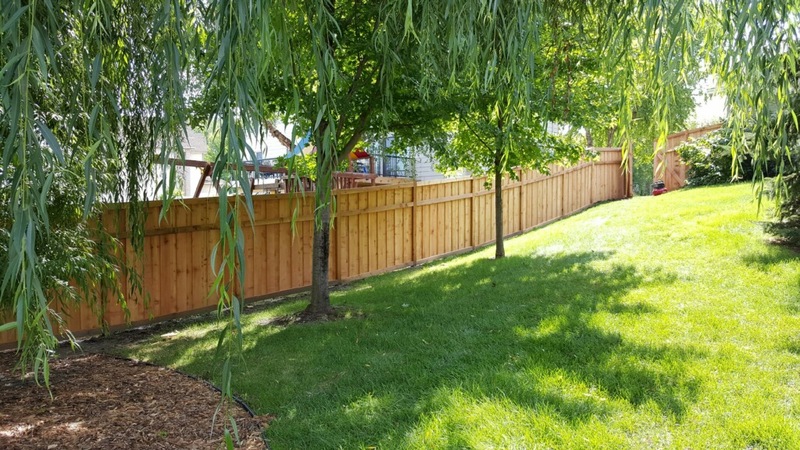 The main benefits of a privacy fence include controlling noise, creating a private retreat in your own back yard, and providing shade and protection from weather when the sun beats down or the wind begins to blow. Privacy fences are also perfect for protecting your property, defining property lines, and enclosing pets and children in the back yard, though these can be accomplished with other fencing systems as well. When you choose to install a privacy fence, you’ll be able to choose from a variety of styles, from lattice-topped fencing to stockade style, solid board wood fencing to shadowbox style. When most people think of post and rail fencing, they think of farming, livestock, and horse ranches. These rural fences are perfect for enclosing pastures and keeping larger animals from roaming free, but even if you aren’t enclosing farmland, a wooden post and rail fence can give your home the rustic feeling of rural life. A post and rail fence has the benefit of allowing you to easily see through, over, and under your fence, providing greater visibility than some fencing options. Although post and rail fences are beautiful aesthetic additions to homes with a country style and create clear property lines, some are more functional than others in keeping smaller pets or children safely in your yard. You can choose from several post and rail designs, such as split rail, square-style, and round-style fences, all with differing styles and functions, to ensure that your fence meets your needs perfectly. Some homeowners worry about the longevity of a wooden fencing system, but don’t let fears of investing in a less durable fence keep you from considering wooden fences as viable and strong fencing options. While we install high-quality wooden fencing systems that are made to last, we also know that there are stronger materials than wood, and some homeowners might want the look of a wooden fence but the strength of steel. With this in mind, we’re able to install steel posts in some wooden fences to provide a stronger, longer-lasting fencing system that will last through some of the more trying Minnesota weather that could leave wooden fences warped or damaged. 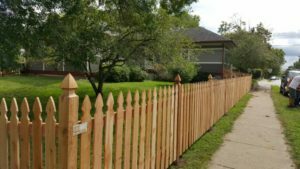 To find out more about installing our wooden fencing systems, contact Twin Cities Fence at 612-443-1948, or email contact@tcfmn.com. We’ll help you choose the best wooden fencing styles and designs so that your wooden fence adds functionality and aesthetic appeal to your home.